BES have now been our supplier for everything technology including periphery for the past few years. Karl has always gone above and beyond to ensure we receive the best pricing and the fastest delivery. 2018 was my first year doing the refresh of devices for the school. With over 1100 devices needed, Karl made sure we received everything as soon as possible. Even when we ran behind with our order, BES supported us through the whole process, making it as seamless as possible. Thank you Karl and the team at BES for ensuring that we are always looked after, even with our crazy demands and deadlines. In the eight months since we engaged BES IT Services, I've been very impressed by their excellent service and support. The team at BES IT has helped us migrate our emails to Office 365, transitioned into our new office with new cloud-based phone systems and fibre internet efforlessly. As we are a small company and don't have the luxury of hiring dedicated infrastructure personnel, BES has also been an excellent and proactive managed services provider. We would have no hesitation in recommending them to anyone seeking a reliable IT partner. 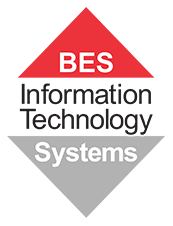 BES IT Systems have been our SaaS provider for three years now. Our business had a typical in house server supporting 12 people. Our business was growing with a second office being built. After researching cloud based providers, BES It came up several times as the people to talk to. We engaged in many discussions with a changeover plan put in place. We found BES It implemented our data transfer and assisted with a fast internet connection in both offices. We found all of their personnel very effective and responsive. We continue with a good relationship as our business continues to grow. We would recommend BES IT solutions to any SME. Happy to provide my details for further contact or information. BES is delivering a comprehensive IT service which meets our organisational needs and is producing improved business performance. I would like to acknowledge BES for their excellent service and outstanding professionalism in delivering IT services to our Company. Our Company has been working with BES for 22 years. This involves on-site servicing, infrastructure provision and guidance on strategic decision making. From day one in this journey BES has listened to our specific organisational needs including the delivery logistics and deliverables we are looking to achieve. They have provided professional advisors who are experienced in providing the services we require on both a day to day basis and in future planning. BES IT Systems have been a great support to MultiLink Community Services as we have worked to improve our IT infrastructure and support offering to the business. Dylan, Linda and the team have been proactive in their approach and responsive to our needs. The Bribie Island RSL and Citizens Memorial Club has been partnering with BES IT Systems since 2008 for all our IT support, management, consultancy and hardware needs. As we do not have the luxury of dedicated IT personnel on site, we were seeking a company who could become rapidly familiar with our existing installation and deliver comprehensive and timely support both on-site and via help desk together with competitive pricing. Following evaluation of several IT companies, it became clear to us that BES' reputation as a reliable supplier of hardware and networking solutions to other clubs and to the education market would be well suited to our needs. The team at BES has provided us with a reliable network and equipment and excellent service and support. I would have no hesitation in recommending them to anyone seeking a reliable IT support partner. Bribie Island RSL and Citizens Memorial Club inc.